Ficus carica, Fig trees are important in Algarve history, both as exports, and for local markets. The fruiting fig is a deciduous shrub or tree. Probably native to south-western Asia it has greenish-yellow to purple fruit. Carica is derived from Caria (Asia Minor), the place from where the best fruit were supposed to come. Fig trees originally relied on the pollinating insect, a wasp, to lay its eggs after flying from wild male figs to accelerate the ripening of the fruit. It is an inside out flower with the insect crawling through the hole in the base of the fruit to pollinate. Modern cultivars do not require pollination, have only female flowers and can be grown outside the range of the wasp. 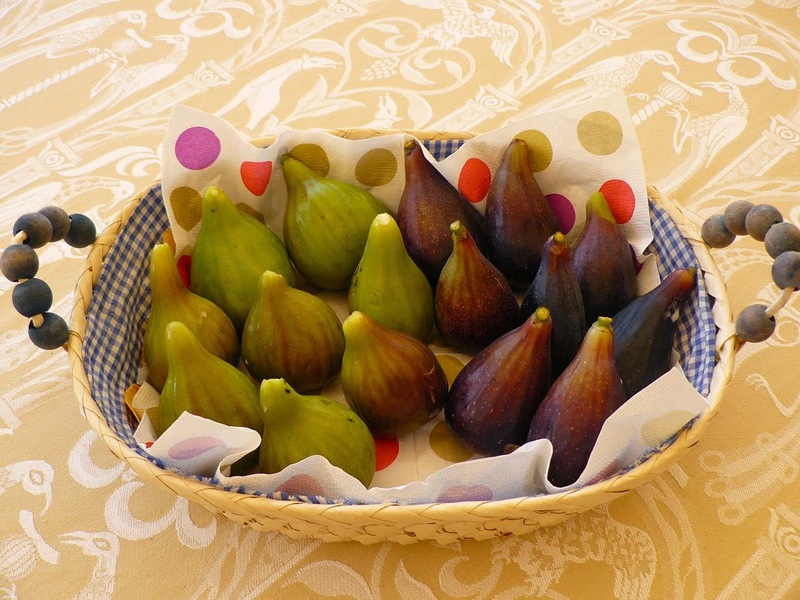 There are three types of fig, white (including green), purple and red, for each of which there are then many varieties, about 45 are known. The fig is one of the three sweetest fruit known, the other two being the grape (Vitis vinifera) and the cherry (Prunus avium). Figs were part of man’s diet when he was still a hunter, gatherer and fisher, but the fruit are believed to have been actively cultivated only from approximately 4000-3000 BC. In many cultures the fig has common symbolic features apart from practical considerations. The fruit are closely associated with fertility, the seeds provide a symbol of unity and true understanding. Authorities claim that the Persian king, Xerxes I who ruled from 486-465 BC, had a particular penchant for fresh figs. It is alleged that his disappointment at losing the sea battle in the Salamis Straits in 480 BC arose primarily from his failure to conquer a land that cultivated this fruit. The tree was sacred for the Greeks and also for the Romans. The fig was introduced to Rome early on and was welcomed there enthusiastically. Some authorities suggest that one of the driving forces that encouraged Rome to embark upon the Third Punic War (149-146 BC) was the desire to control the cultivation of fig trees on the African coast (surely shades of Xerxes I three hundred odd years earler). By the time of Pliny (23-79AD) the respected natural historian who wrote Historia Naturalis, was alive at least 29 varieties of fig already existed. The fig is depicted in murals in Pompeii, the Roman city that was rocked by the eruption of Mount Etna in 79 AD. In art the fig appears in various forms. In classical Christian paintings the fig leaf was used as a modesty covering, while in other paintings the fruit can sometimes be seen as a sexual symbol or a sign of plenty. The fruit has been employed in folk medicine for thousands of years and continues to provide a remedy for constipation. One of the delights of the Algave markets is the number of ways dried figs and nuts are combined into decorative shapes, especially popular at Christmas time with a glass of port.